For those who have not sold popcorn in the past, here is how it works… There are two ways to take part. You can do one or the other or both. Method #1 is the "Show-and-Sell". The "Show-and-Sell" is, as the name implies, when your unit places and order for popcorn prior to September 10th and, once delivered, you sell the popcorn out in front of the local supermarket, library, town hall, park, train station or wherever you like (don't forget to get a permit if your town requires one!). The benefit of this is a greater return for each microwave item sold. How is that? As an exampe, a 12 pack of microwave popcorn sells for $10. If you open the box and sell each packet for $1, you then make $12 per box instead of just $10. You get to keep the extra $2 per box in addition to the 35% base commission ($3.50) for that box. Multiply that by 20 boxes and your unit makes $110! "Show-and-Sell" orders can be picked up late-September. Payment and product return for "Show-and-Sell" orders are to be made before October 15th. notified of specific date and time. If you pay at or before pickup, you can take a 35% commission. If you pay after pickup but before December 1st, the commission is 30%. If you pay after December 1st, your commission drops to 25%. NNJC will not be writing checks back to your unit, so when you pay for your order, keep your commission. To sign up your unit or if you have questions, contact Karen Stallsmith, District Popcorn Kernel. Also, for more information on the Trail's End products, Scout Prize Program, safety and sales tips, and more visit the Trail's End web site at WWW.TRAILS-END.COM. 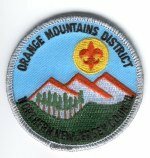 Check out their "Ideal Year of Scouting" section for computerized help with creating an annual budget for your unit. You will not believe how useful and easy their program makes budgeting and tracking your unit's finances event by event and Scout by Scout.